David Scott, a pioneer in social justice, welfare, and the environment. 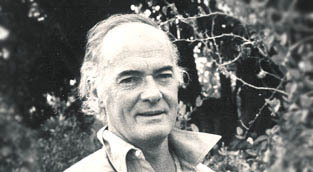 David Scott was a distinguished Australian and a welfare sector pioneer. As a Committee took on the task of preparing his memoirs for publishing, we were commissioned to provide story advice, improve the narrative structure, edit early drafts and conduct research interviews to address gaps. David’s story encompasses the Great Depression, the Pacific War, NGO activism and overseas aid in the ‘60s and ‘70s, East Timor, land care in the ‘80s, and the crushing economic fundamentalism of the ‘90s. This project was an opportunity for us to apply our storytelling expertise to a different medium, and was the chance to work with a very great Australian. The memoir will be published in 2013.